I love fall! Nothing says fall to me like some delicious warm apple cider or baked apples with cinnamon and sugar. Yum! Here in Virginia, we are surrounded by apple orchards…so we make a big deal of out apple season ’round these parts! 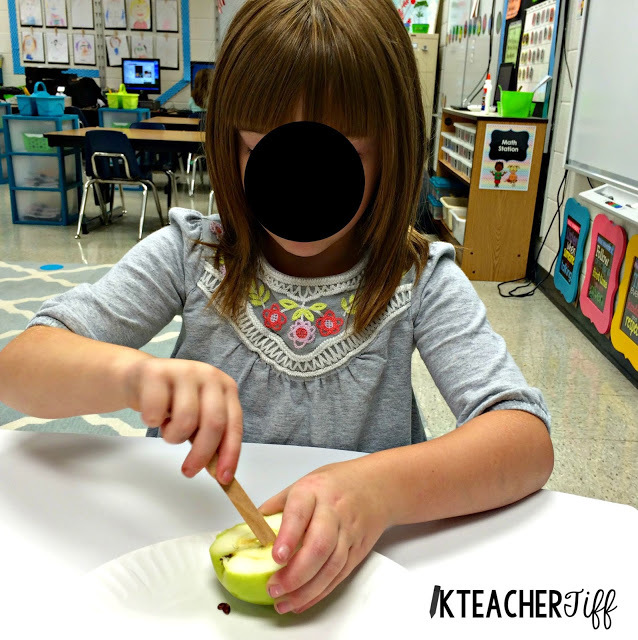 Here are some of the fun apple activities we did last week! 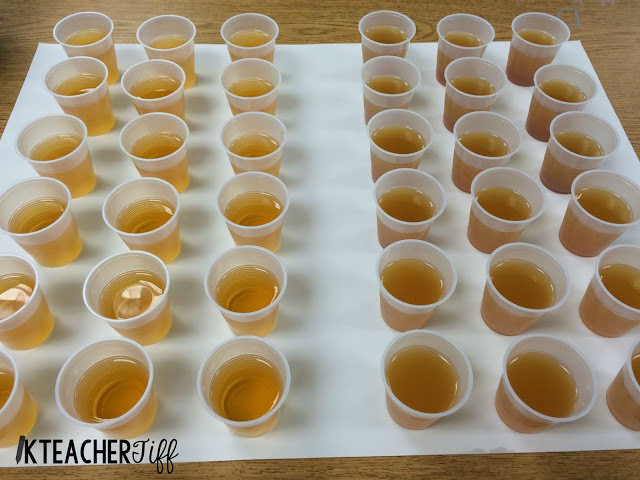 Do you know the difference between apple juice and apple cider? Apple cider is just apple juice that has not been filtered and pasteurized. It contains more of the apple pulp and all-around apple goodness. Apple juice has been filtered to remove all of the apple particles, and it’s pasteurized, which is why it lasts longer too. 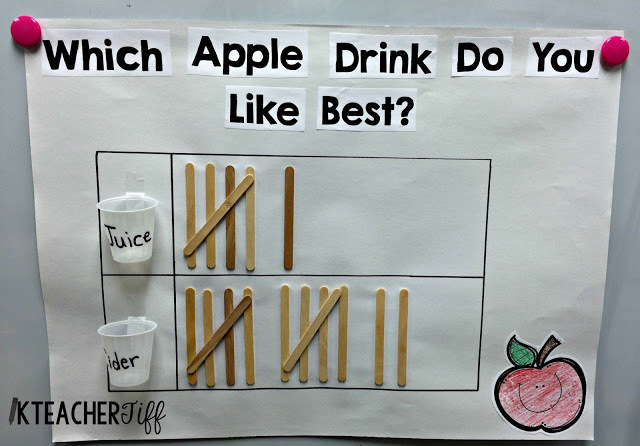 We tasted both beverages and then made a tally chart of our favorite. Of course, we had to taste test the apples themselves too. 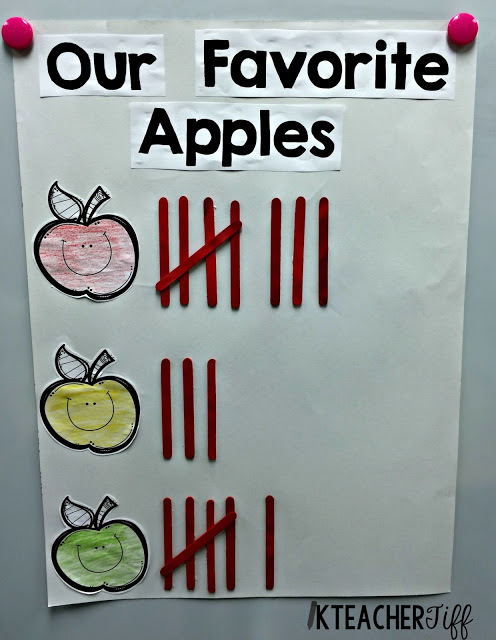 So we tried a slice of a red, yellow, and a green apple and then made another tally chart of our favorite. 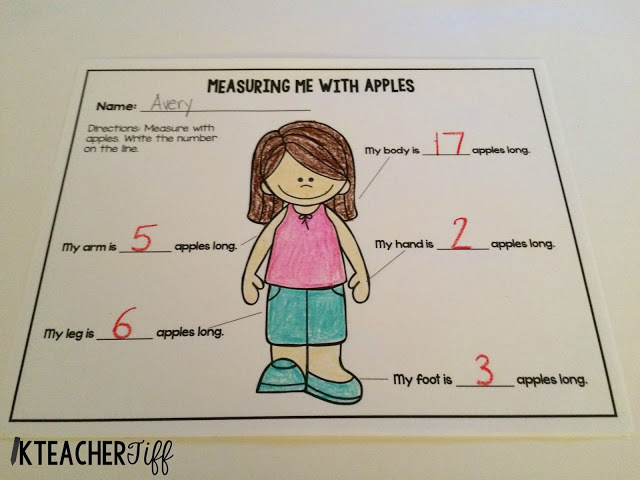 We measured our bodies with apples, and recorded our measurements. 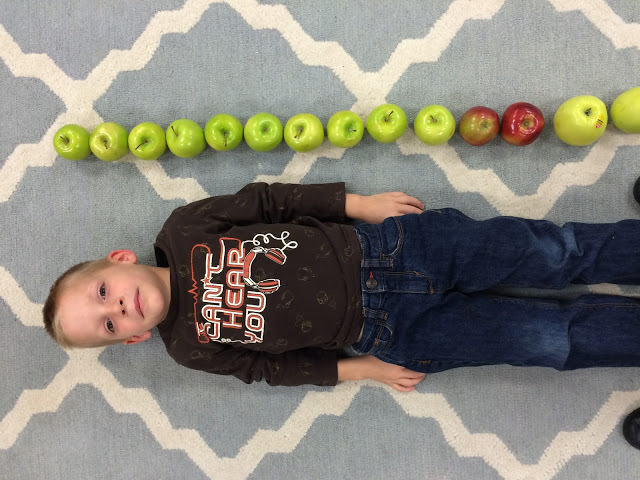 We also did a little apple patterning. 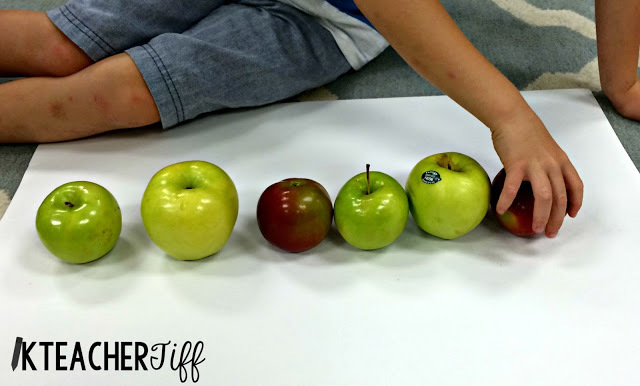 We created a pattern with apples and identified the core of the pattern. Get it, CORE? 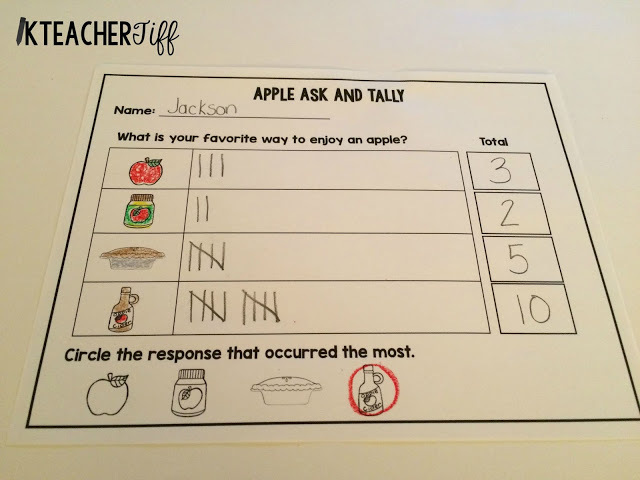 We added Ask and Tally to our math stations. 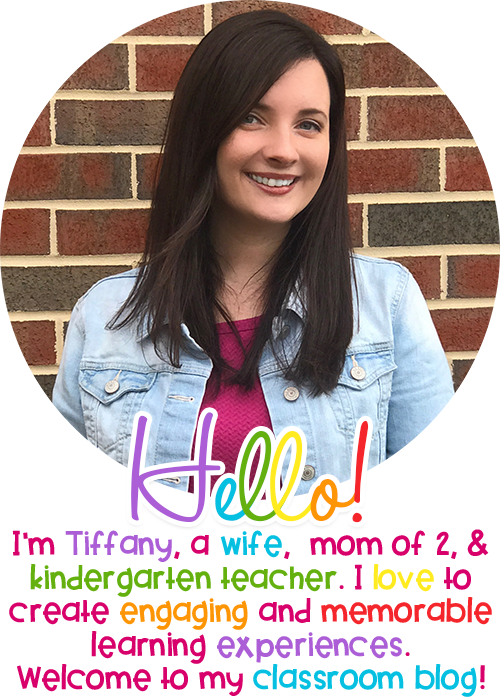 The kids love walking around the room and asking their friends questions. 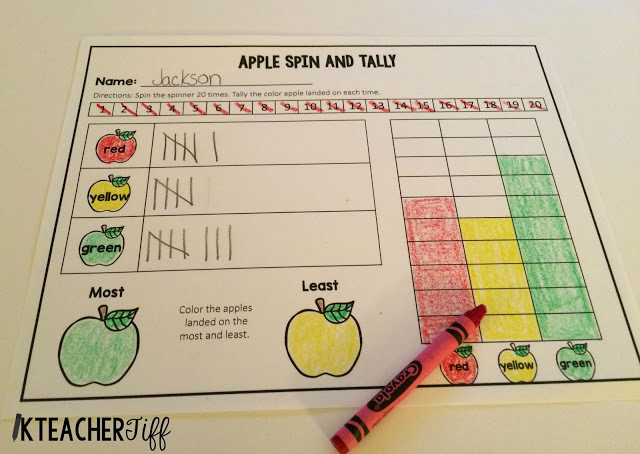 We also played Apple Spin and Tally! Can you tell we’re working on tally marks in math? 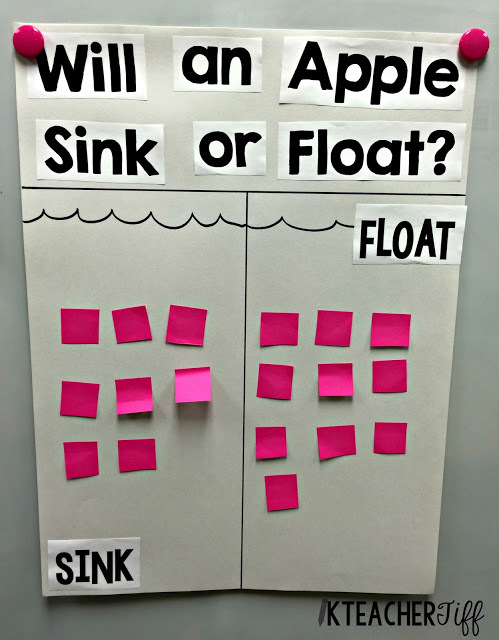 In science, we made predictions about whether the apple would sink or float. 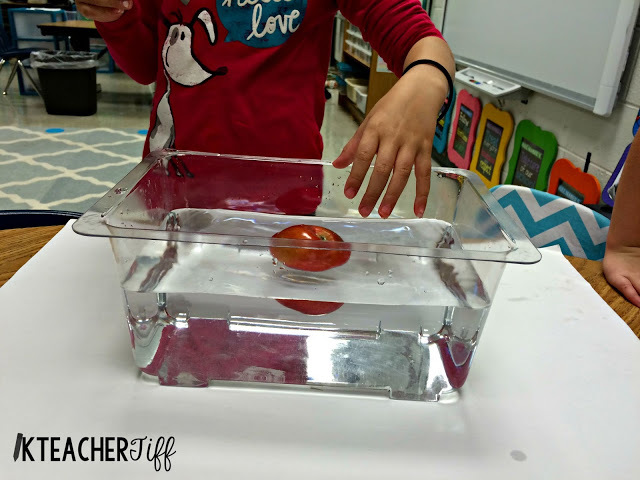 Then, we tested it out! 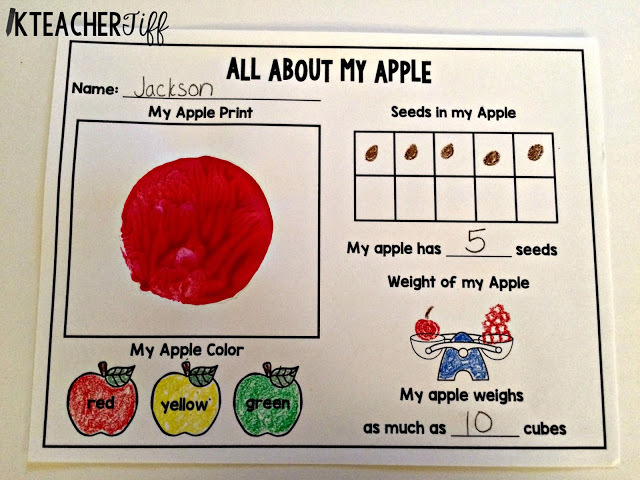 Everyone got an apple to explore. They dug for seeds, and placed them on a ten frame. Then, they talked bout their seeds with the person across from them. 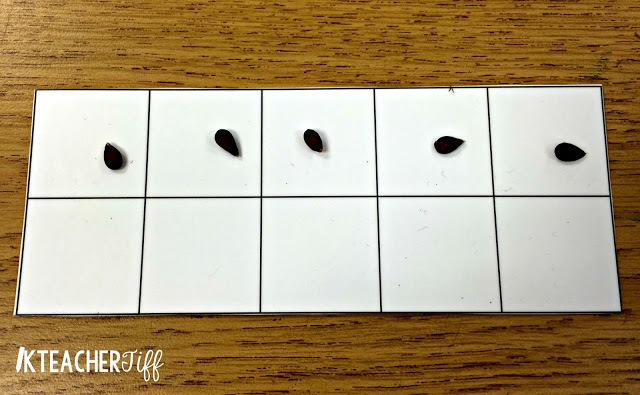 They had to tell who had more seeds and who had fewer. 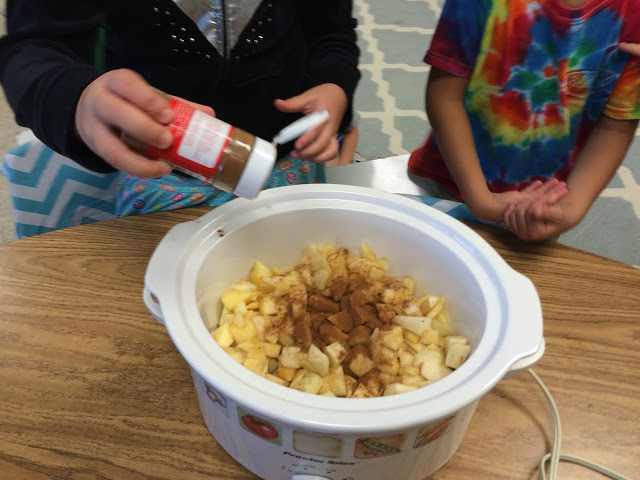 We also made easy applesauce. 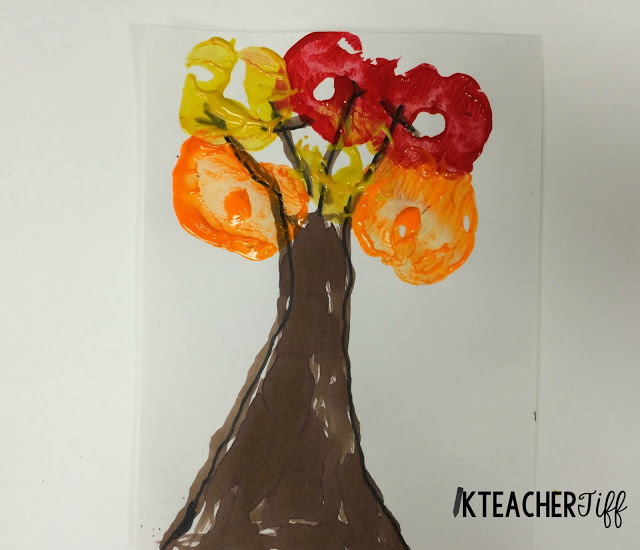 You can read about that HERE, where I blogged over at iTeachKinder. Of course, had to do a little apple print art. 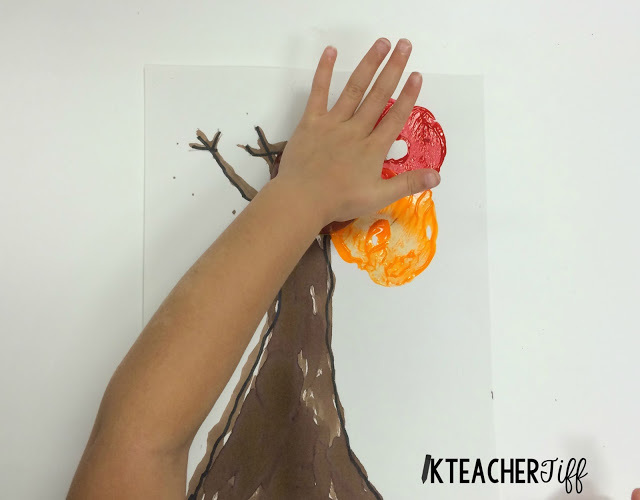 We made trees and used apple prints as the leaves. 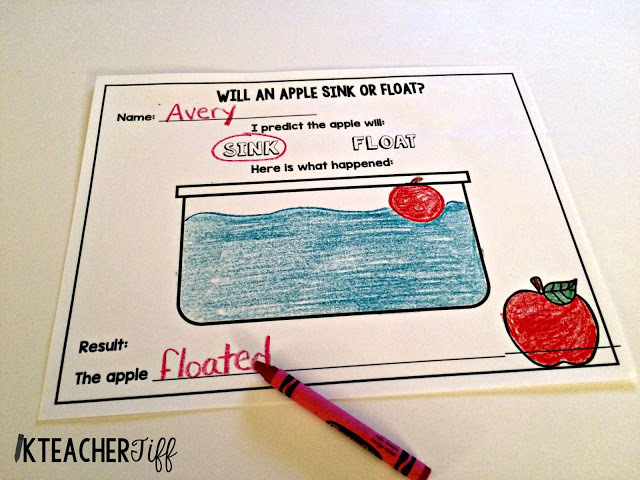 If you’d like to see more apple ideas, you can check out some of last year’s apple fun HERE! 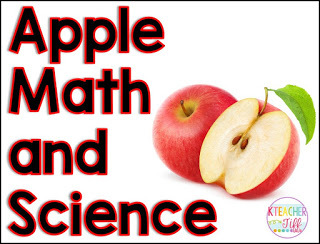 The Apple sheets in this post are from my Apple Math and Science Pack on TpT.